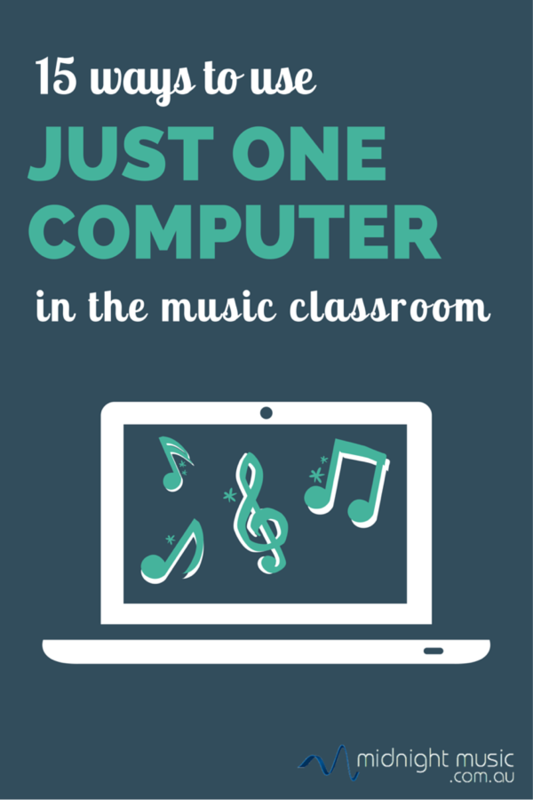 Following on from my 18 Ways To Use A Single iPad In The Music Classroom post, today I wanted to share some ideas for using technology with your students when you only have ONE computer. 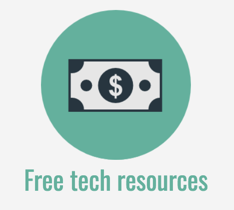 Even if you’re low on tech resources in your music classroom there are still lots of things you can do to incorporate technology. I’ve come up with a list of 15 suggestions below, although there are lots of other things you could do too! No access to a data projector? 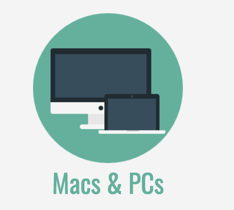 If you don’t have access to a data projector either, you could also use your computer as one activity station or “center”, alongside other activity centers that feature musical instruments and other non-tech activities. Entice students to get to class quickly by showing one of the clever music videos from my collection on Pinterest at the beginning of class. There are more than enough there to show two different videos every week of the school year. Use Playposit to make Youtube videos (and other online videos) interactive. Choose your video, add it to Playposit and set up some questions ahead of classtime. The questions pop up during the video and the video will pause automatically to allow students time to answer the question. Students can discuss the answer as a group, or in teams. This would work well as a substitute activity. For a number of years, I’ve been showing the note identification Staff Wars game (download here) in workshops. Even with one computer, you can get all the students involved by printing the score cards here and following the group game instructions. Incredibox is another free online music interactive website that allows you to demonstrate remixing and arranging (music production) in a super-cool way. As a group, you can record a class remix by deciding which sounds to use and how to arrange the performers. For more details, take a look at my Incredibox Remixing post or download my free Incredibox lesson plan (there’s a walkthrough video for the lesson too!). 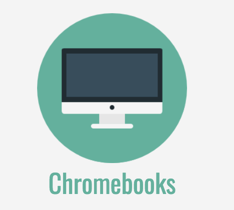 Chrome has a fantastic collection of online music tools which are perfect for the music classroom. 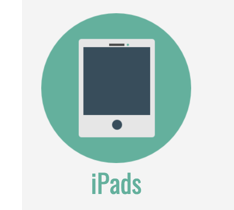 I’m planning on sharing lots of ideas for using them in lessons [update: the first free lesson plan has been published here], but following are just a few ways that three of the tools can be used. Launch the Rhythm game and press play. Ask students to play the rhythm they can see and hear on the screen, and ask them to identify the time signature. 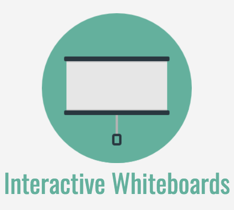 One student can come and change the rhythmic pattern by clicking on the screen. Everybody can then play the new rhythm. Divide the students into groups and add a second and third part (use different instruments or body percussion sounds for each part). You can create rhythms in meters of 3, 4, 5 and 6. Another of the Chrome Music Lab resources is the Oscillator. Use it to show students 4 oscillator types: square, sawtooth, triangle and sine. They can click and drag up or down on the screen to change the frequency. This is a great tool for exploring the relationship between frequency and pitch: you could choose one frequency and see if students can find the equivalent note an octave higher. The Chrome Lab Melody Maker would be a great stepping stone to using notation, or to using piano roll editors in sequencing programs like GarageBand or Mixcraft. The Melody Maker shows pitch and time like a piano roll editor. As a group, students can create a melody – you might like to choose the key note as starting note and then let them choose the other notes in the sequence. Opportunity to discuss the characteristics of a good melody.Once you have decided the group melody, students can play it back on instruments, or sing it using sofa or made-up lyrics. Next, they could split into smaller groups and see how many ways they can vary the melody by changing the tempo, rhythm, time signature, note duration and so on. Each group can perform one or two of their variations for the others. Use the countdown timer on the Class Tools website to encourage a speedy classroom clean-up, or to define a specified time length for an activity. Select the time length and choose some theme music (I like to use the Mission Impossible theme!). Use the piano accompaniment on this page as a backing track for student improvisation. 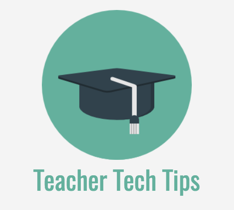 Students can use the black notes on a glockenspiel or on keyboards if you have them to play along. Open the Bouncy Balls website and click the “use microphone” option when prompted. The balls on the screen will react to the sound in the room. Students can “see” whether they are being loud or soft, or somewhere in between. Open Audacity (free audio recording and editing software), press the record button and record your students singing or playing. The recorded WAV form can be useful for starting a discussion about dynamics, form and rhythmic accents in music since students can SEE what’s going on. It can also be fascinating to import existing recordings in a range of musical styles (Classical, EDM, Jazz etc) into Audacity and compare their characteristics in a visual context as well as an auditory context. Use Groove Pizza or Beatlab to make a rhythmic backing as a group. Students can then play a classroom ensemble piece along with the backing you have created. For more information, see the How To Make A Funky Beat in 30 Seconds post. Create a group rhythmic backing – like the one mentioned above. 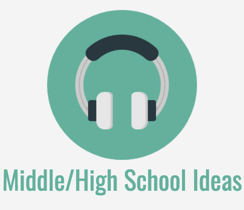 Students write their own rap, based on the lesson plan in this post. They then take turns to perform their rap for the rest of the class with the backing playing on the computer. If you’d like a full lesson plan showing you how, take a look at the Rap My Name lesson. As a group, you could also work through the interactive story and accompanying activities for the Young Person’s Guide To The Orchestra on the Carnegie Hall Listening Adventures site. Want some help implementing these ideas? 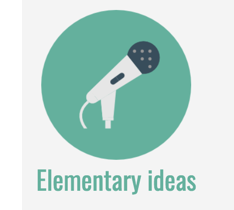 I’d love to help you with the step-by-step process to implement these ideas – and others just like them – into your classes. 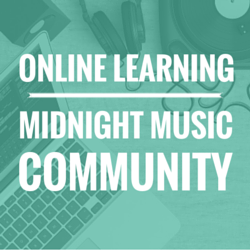 That’s where the Midnight Music Community comes in. 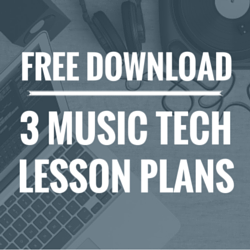 Get personalised music tech help, ask questions and learn from other teachers. You find out more about the Community here. Would you like a copy of this list? Click on the button below to download a copy. It will be sent straight to your email inbox. I love this lesson idea and will definitely try it! Thank you so much! Thanks Claire – happy to help!